Posted July 25th, 2014 by Mike Brunson & filed under Uncategorized. Despite concerns related to hackers compromising exchanges, enhanced scrutiny from governments, and accusations against one of its chief champions, bitcoin remains popular, valuable, and viable. People earn bitcoins by dedicating computer processing capacity to maintaining or mining the block chain, the ledger that records and verifies all bitcoin transactions. Competition to mine the block chain, thereby earning bitcoins, is extremely fierce, and many people have pooled their computing resources to enhance their earning potential. You can also use cash to buy bitcoins if you don’t want to earn them the traditional way. Once you have this cyber currency, there are a number of places where you can spend it. Check out this list of online and brick and mortar venues that accept bitcoin and the layer of anonymity that goes along with it. According to the Wall Street Journal, Overstock is one of 3,000 retailers globally who allow customers to pay their bills using bitcoin. The site features housewares, furniture, clothing, jewelry, electronics, and more. Given the depth of its offerings, this website makes it possible to buy a wide range of goods with bitcoin. First you use bitcoins to buy a gift card from eGifter.com. Then you take the gift card to the designated brick and mortar retailer or restaurant and use it to make your purchase. This simple process makes it easy to convert bitcoins into gift cards for your favorite real world locations including places like Stein Mart, Sephora, Bass Pro Shops, and Chili’s. Just because the currency only exists in cyberspace doesn’t mean you can’t spend it in the real world! Head over to Cups and Cakes Bakery on 9th Street in the city by the bay to cash in bitcoins for a tasty treat. On its website, the company praises the virtual currency as offering an advantage to small businesses who feel the financial pinch of credit card processing fees. Can’t hop a plane to the Left Coast? Head instead to the Country Music Capital for bitcoin-funded fine dining and drinking. Flyte lets patrons use an app to transfer the digital currency to the restaurant’s wallet using a third party bitcoin manager. Several well-known national retailers allow customers to pay their bills via bitcoin using an app on their smartphone. Among the early adopters of this virtual currency are Kmart and Home Depot. With its discounts on everything from books to electronics, Amazon is a powerhouse online retailer. That’s why people looking to spend bitcoin are stoked that Amazon now accepts the cryptocurrency. This move opens up access to a marketplace that includes most major retail categories. For now, there are more online venues accepting bitcoin than retailers and restaurants in the real world. However, as the currency gains broader acceptance, expect to see more opportunities to spend bitcoin at brick and mortar establishments. 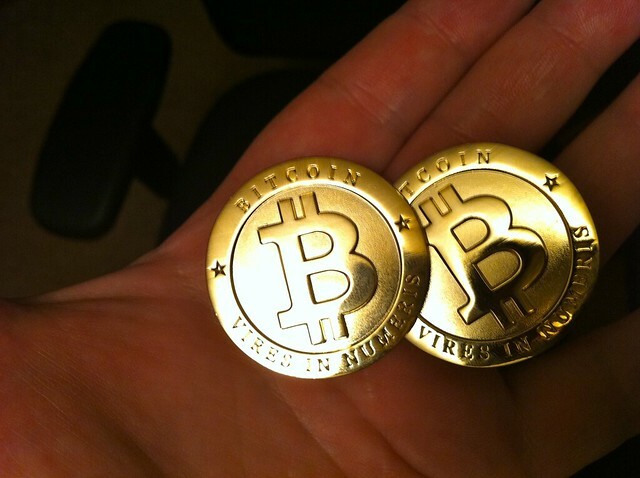 What places do you want to see begin accepting bitcoins in the near future?